BalTec is the worldwide leader in radial riveting, orbital riveting, press equipment, and automated assembly equipment. BalTec manufactures stations which include riveting machines, press systems, screw driving systems. We also sell a number of other products associated to the fastening industry. 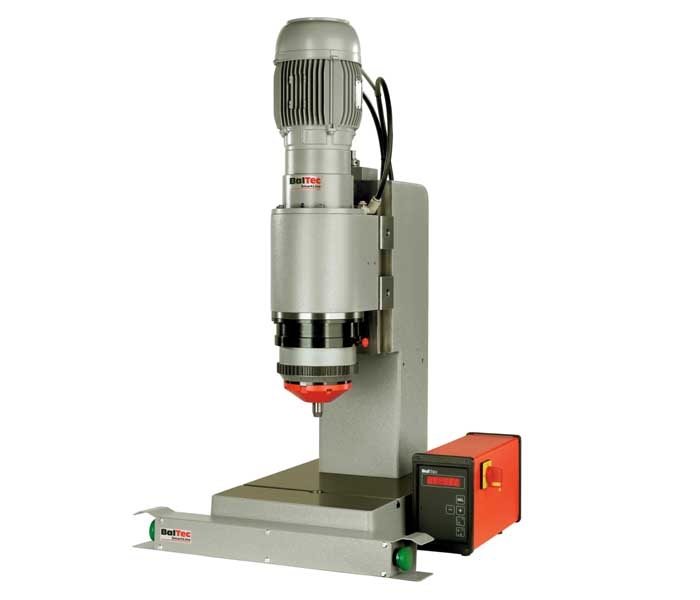 BalTec’s riveting machines include radial riveting, orbital riveting, SmartLine, Ecoline, fitting machine, process controller and quality monitoring. BalTec’s press systems include manual toggle presses, pneumatic aided presses, hydro- pneumatic presses. We can offer a solution for virtually any cold forming, fastening or assembly application in automated assembly equipment. BalTec has sales, engineering and support facilities in Switzerland, Germany, England, France and in the USA. Additionally, there is a complete worldwide network responsible for sales and service.